Take the next step in a healthy GF diet. Say ‘no’ to processed sugar. Say ‘yes’ to great-tasting, fresh recipes. Go sugar-free & gluten-free and discover energy you never thought you had. Joy shows how eating gluten-free and sugar-free can be an everyday reality for busy people who want to feel great and enjoy food packed with flavour. Food doesn’t have to be bland without sugar; nature has provided plenty of healthy sweetness for you to enjoy. An addition to the gluten-free series of cookbooks from the NOSH Books team. 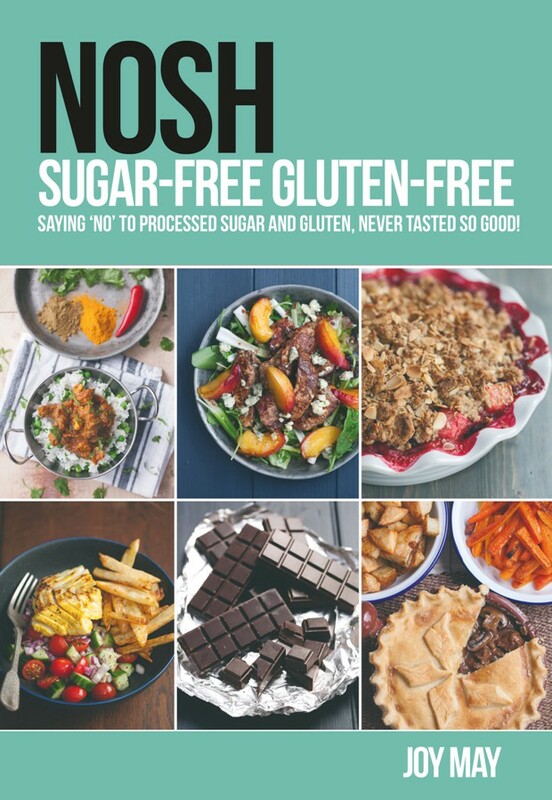 ‘NOSH Gluten-Free Sugar-Free’ deals with the issue of processed sugar in our diets. Joy tackles the sugar-free world with the same simple approach used in previous books. Back to basics and using natural ingredients is the way Joy approaches the subject, whilst still maintaining the no-fuss techniques of cooking that people have come to expect from NOSH books.